The world mourns the passing of the greatest soul artist of all times, Aretha Franklin. Fan, colleagues, and friends of the singer pay memorable tributes to the late legend. Barbra Streisand honored her beloved friend too. The ‘queen of soul’, talented and one-of-the-kind Aretha Franklin left this world on August 16 surrounded by her family. She was 76. The star bravely fought with health issues but for the last week, her condition saw a severe decline. Soon after Aretha’s sad passing was announced, her friends and millions of fans worldwide took to social media to honor the memory of the ‘queen of soul’. Barbra Streisand also expressed her condolences about the passing of the legendary singer. Barbra shared a 2012 throwback photo of them together at a tribute celebration for Marvin Hamlisch. It’s difficult to conceive of a world without her. Not only was she a uniquely brilliant singer, but her commitment to civil rights made an indelible impact on the world. We 100 percent agree with Barbra Streisand. Aretha Franklin will be missed so much. It’s hard to imagine the music industry without her great songs. 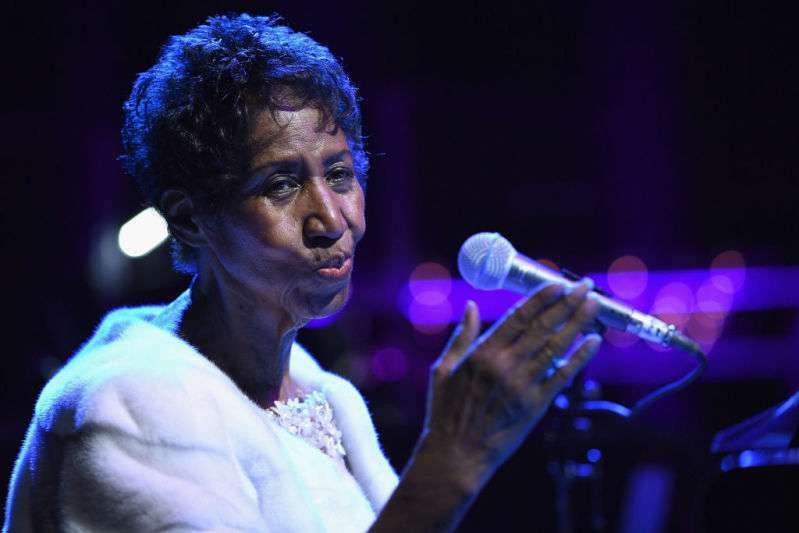 In memory of the ‘queen of soul’, we want to recall her final public performance. We can’t help admiring her exceptional talent. Rest in peace, dear Aretha.